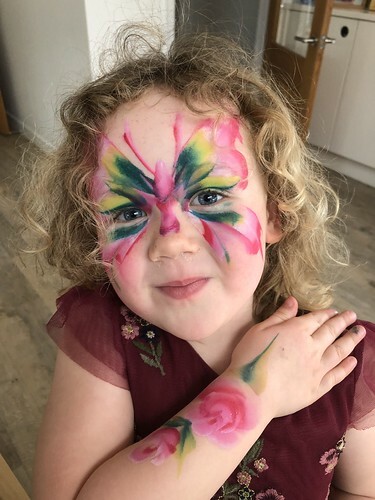 A double party situation for The Little Miss meant she ended up with the most fabulous face painting. She didn’t want to wash it off at bedtime. Today was Medieval Day at school. The kids had been talking about castles and building them all week and then today they had a banquet at lunchtime and we were invited to see them dancing in the afternoon and doing some jousting. I adore the school – the kids get to do so many interesting and creative things and they are learning so much, so fast. Wonderful stuff. This is what a sleep thief looks like. 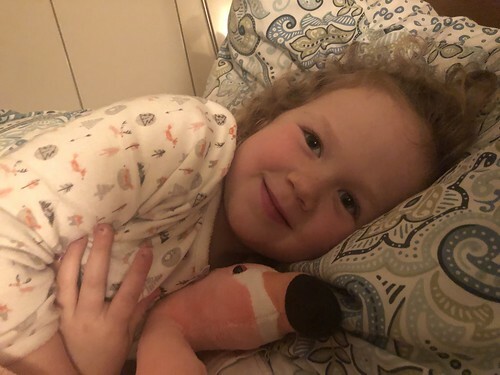 10pm and still wide awake – no woner she is a nightmare to get out of bed in the morning! 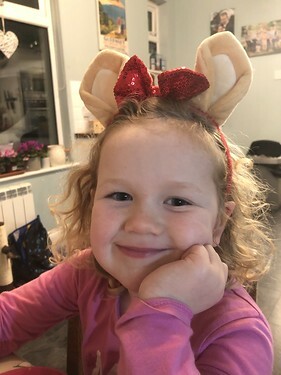 The Little Miss has taken to wearing her reindeer in the house, especially just as she is going to bed. As demanding as she can be, she can also be incredibly fully and loving. We are very blessed to have her in our lives. 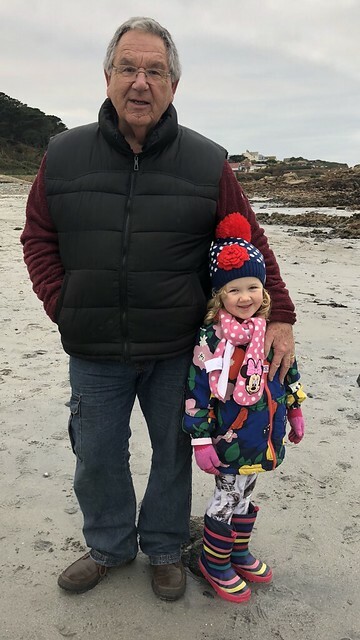 The old man is getting older and today he turned 71 – looking good for his age I reckon!We even managed to drag him out to the beach for a short walk which was a result. Seriously though, I am hugely grateful for all the time we get to spend together, for his influence in and on our lives and the fact that our children get to spend time with him. The Little Miss really dressed to impress for this beach walk! This evening my sister and I went for a nice meal with Dad at a local pub. It was lovely to have a catch-up without any children bothering us! 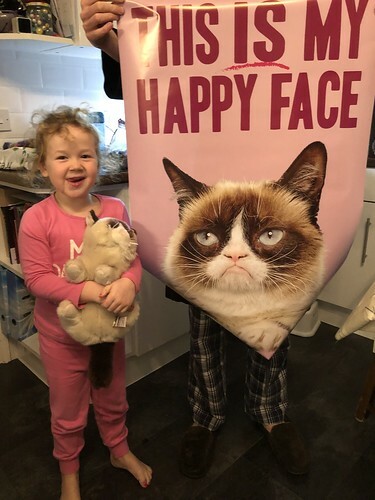 The Mister bought The Little Miss a poster for her bedroom. 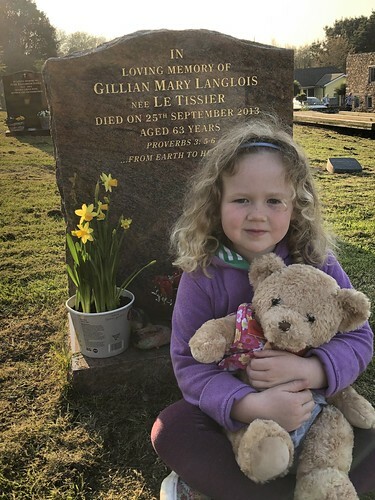 She loves her grumpy cat which was bought for her by Uncle David. To be honest, we have often commented that it is probably her spirit animal! The Little Miss really hates loud noises. She cannot bear fireworks and hoovers and she gets really cross when I use the food mixer. 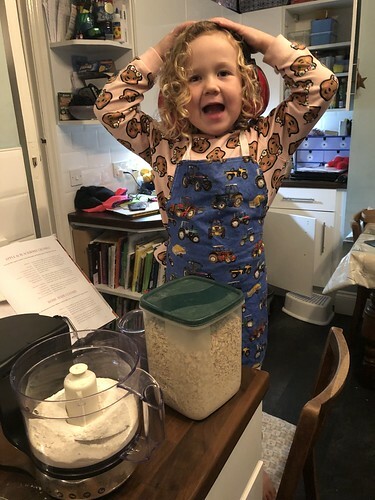 Today I was making some crumble topping and she came back all prepared for when I ws about to use the food processor – with her ear defenders! 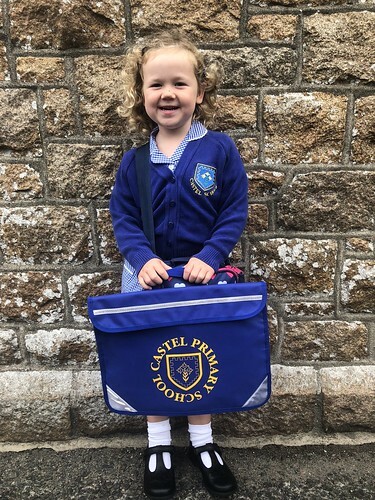 So, today my baby girl started school. Despite the fact that she is one of the youngest in the year having turned 4 about a month ago she is super ready to go to school! She managed to get herself dressed all by herself this morning and then insisted on carrying all her bags herself. Little Miss Independent. She had a wonderful, exciting day and I am grateful for a school community that is so nurturing and caring. Life is good and I cannot wait to see how much she changes over the next year. I’m proud of you little girl. Be brave and strong but most of all, be kind. 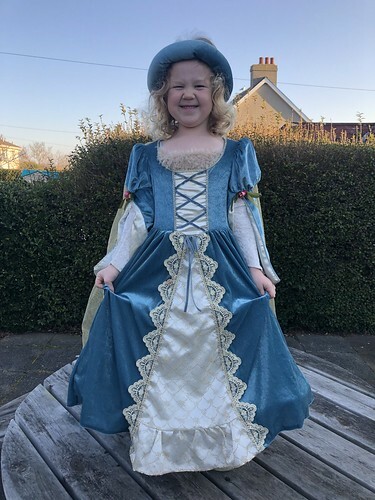 The Little Miss was given this Rapunzel dress by her friend Ava. She absolutely loves it and has hardly taken it off since she got it. 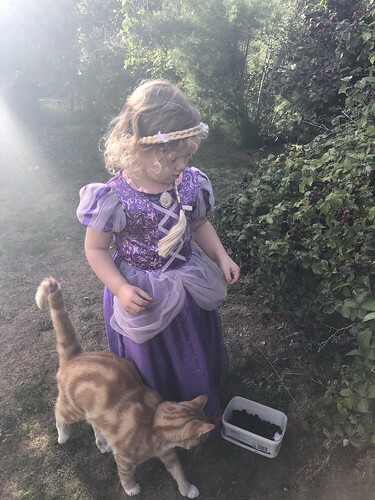 So, this is how we pick blackberries in our house; wearing a Rapunzel dress with a large ginger cat for assistance. Living the dream.